See an Event in Action! 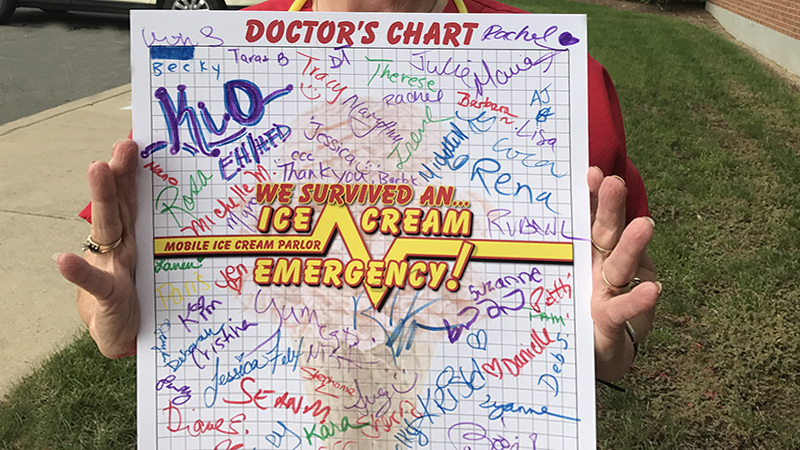 Ice Cream Emergency is a uniquely themed, full-service, ice cream catering company. In fact, it is a mobile ice cream parlor disguised as a whimsical rescue vehicle. 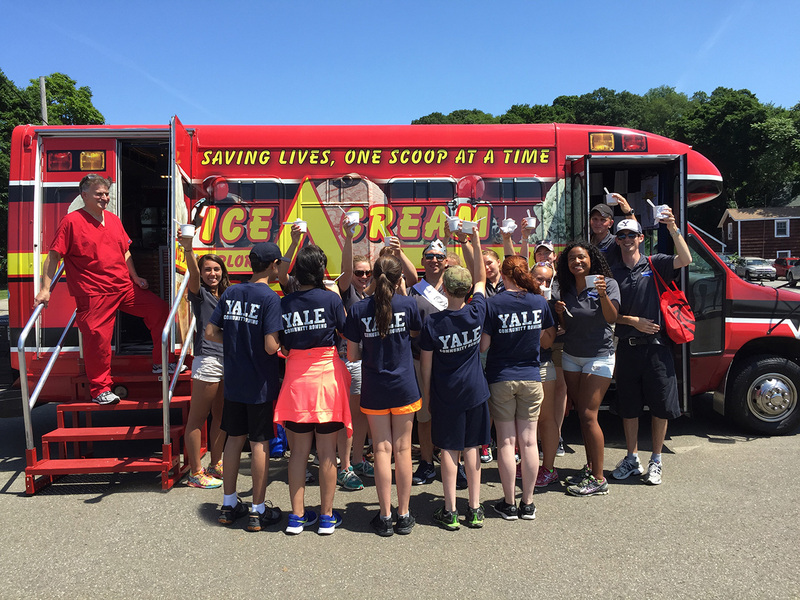 Ice Cream Emergency rushes to your event to “save” your guests by bringing gourmet, super premium ice cream to them! What does every host want? To impress their guests! We book in advance so make sure you check our availability. Ice Cream Emergency is guaranteed to WOW your guests. Our Scoopologists serve delicious ice cream to your guests! 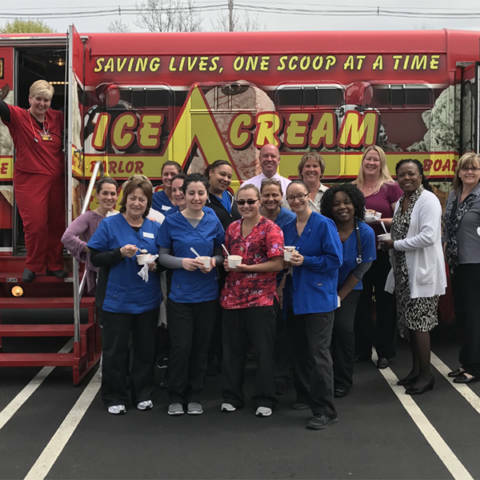 We arrive at the specified time and your guests are greeted by our professional team of “Scoopologists” (wearing hospital scrubs, of course). All of our Scoopologists are Ice Cream Board Certified (yes, we made this up). Your guests actually board the I.C.E. Bus and they are served in our fully appointed, mobile ice cream parlor! 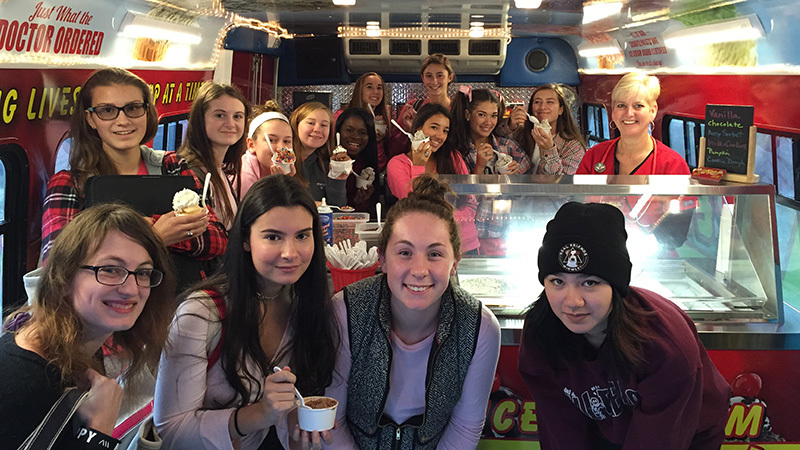 The interior is climate controlled, decorated, and themed, including black and white checkered flooring, rescue vehicle diamond-plate cabinetry, and giant ice cream cones floating on the ceiling. Is Guaranteed to Wow Your Guests! 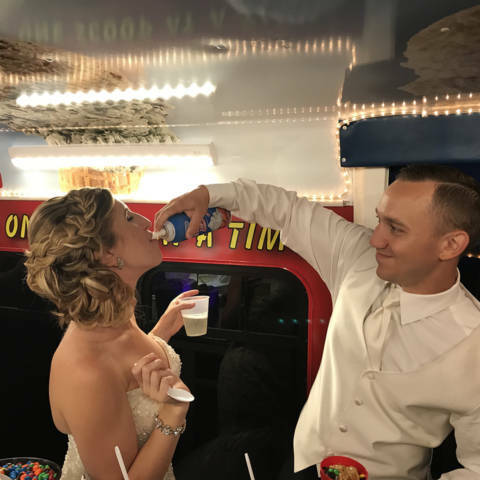 The guests go directly from the venue (i.e., your house, a banquet facility, a school, or an office complex) right onto the bus which is climate controlled. Weather is not a concern as the guests are served inside the bus. As the guests enter the bus, they will be able to sign our custom Doctor’s Chart. It is a giant keepsake card (13″x19″) that will be customized with notes by the guests. It’s an awesome keepsake of the event and is suitable for framing and/or displaying in the house or employee break area, sure to bring smiles. I.C.E. serves super-premium, gourmet ice cream that is to die for! 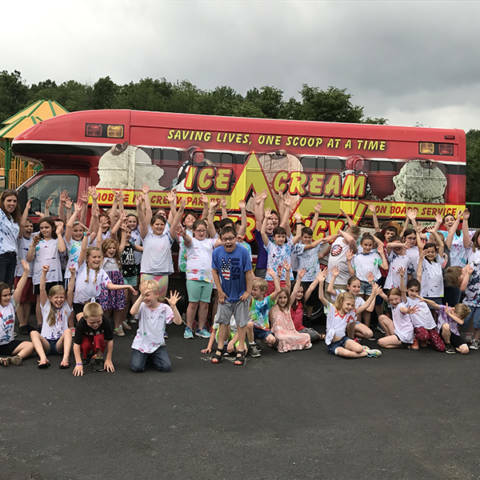 Based on your package selection, your guests can choose cups, cones, old-fashioned floats, make-your-own-sundae bar, or our signature Flatliner OMG Brownie or Monster Chocolate Chip Cookie Hot Fudge Sundaes. 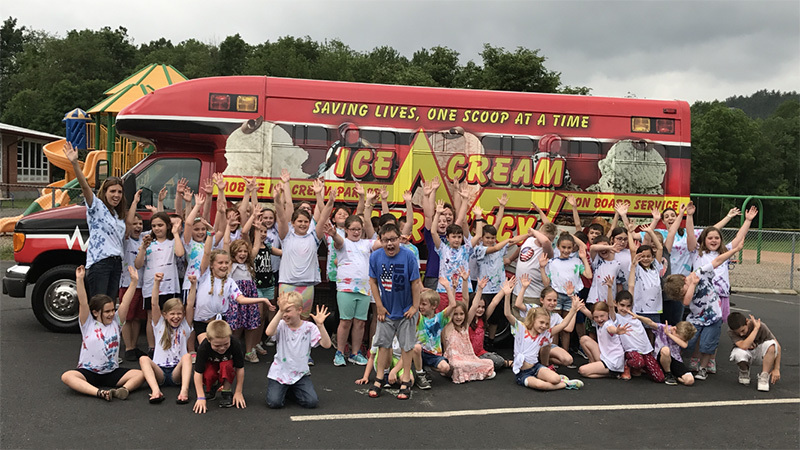 We bring ice cream and FUN to your guests… STAT!